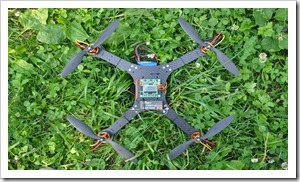 This is the third revision of my SG Adventure Quad, that I made back in may this year (link). 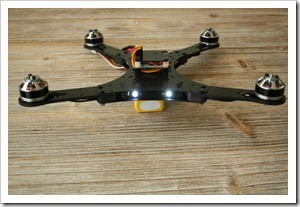 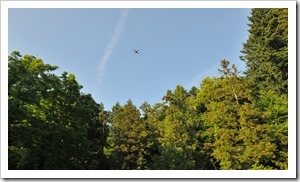 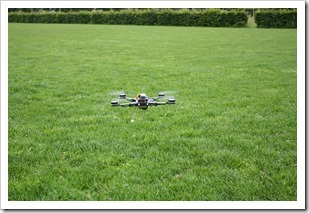 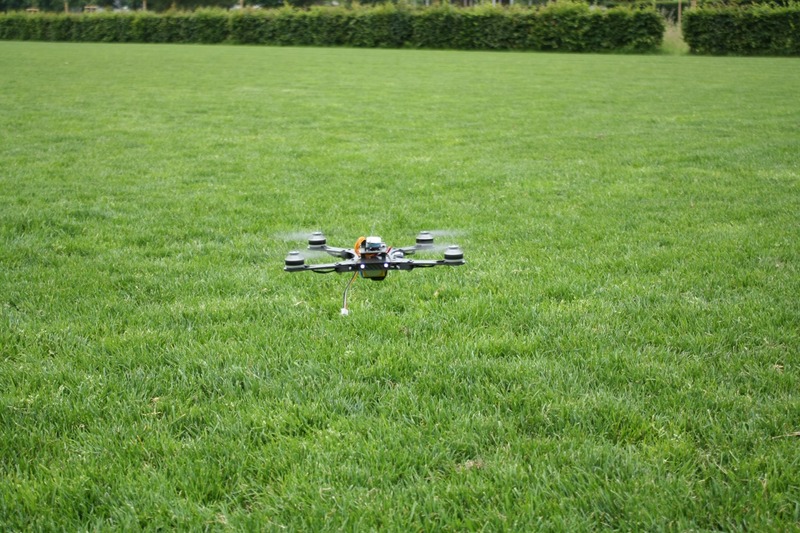 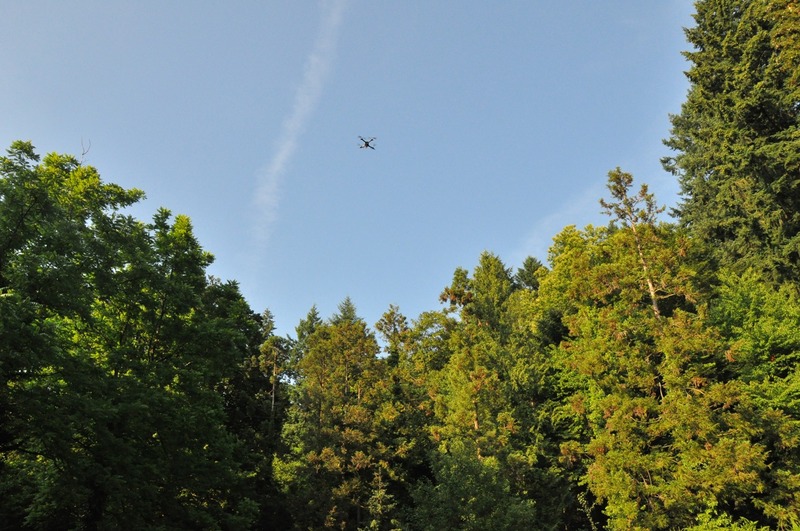 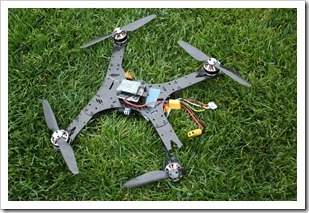 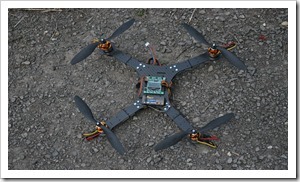 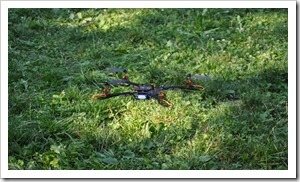 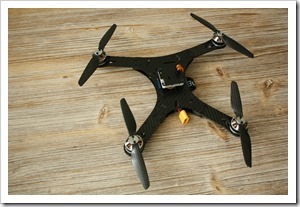 This is a short review of the Mini Quad (the normal/bigger one uses just longer arms for 8” or 10” propeller). The SG Adventure Mini Quad is a V-Type frame. 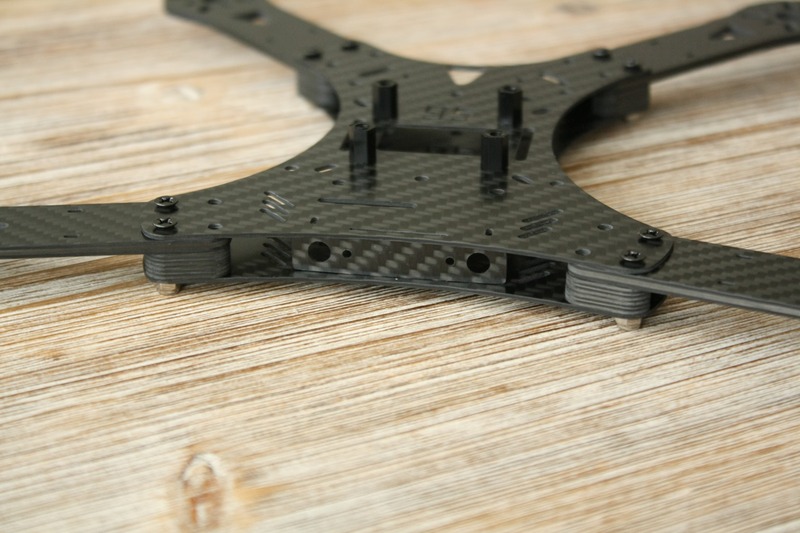 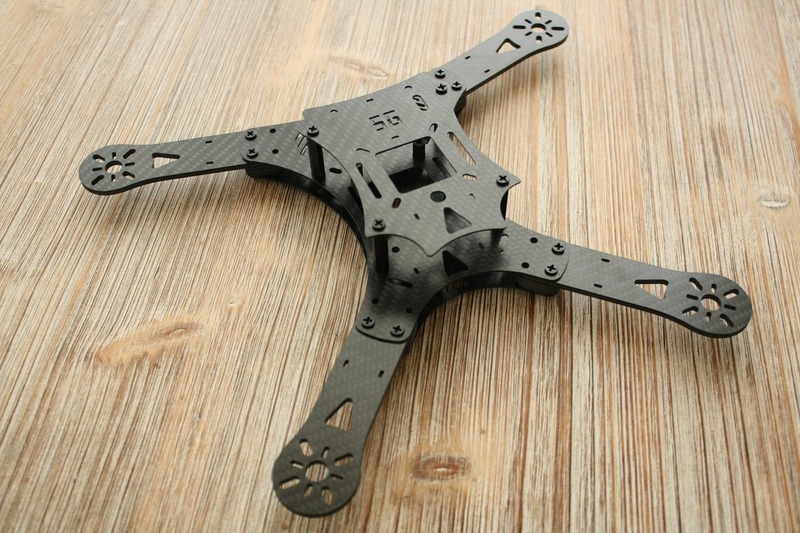 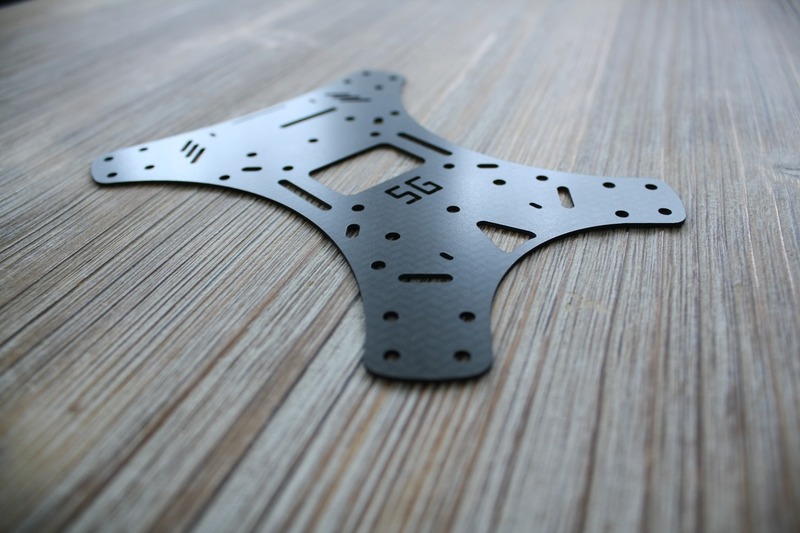 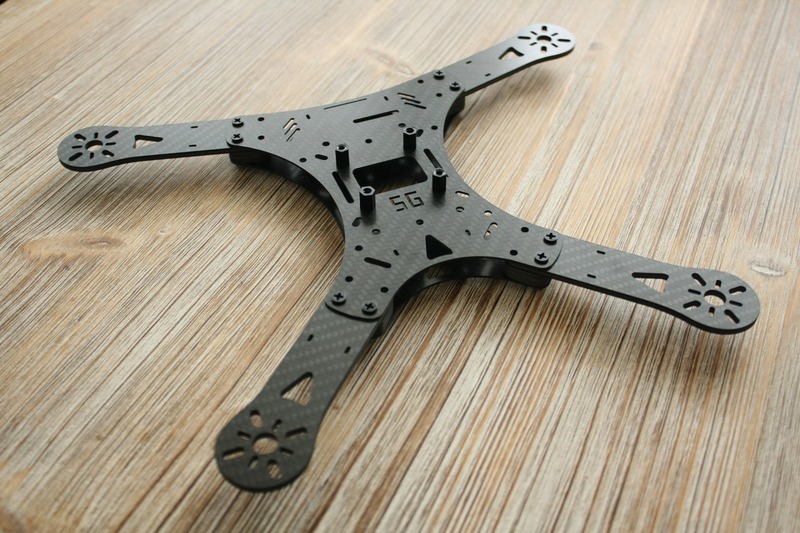 I went on this type, because I wanted something different from the Mini H-Frame hype and I love the asymmetric frame 🙂 It is also designed for mounting an action camera and FPV gear. 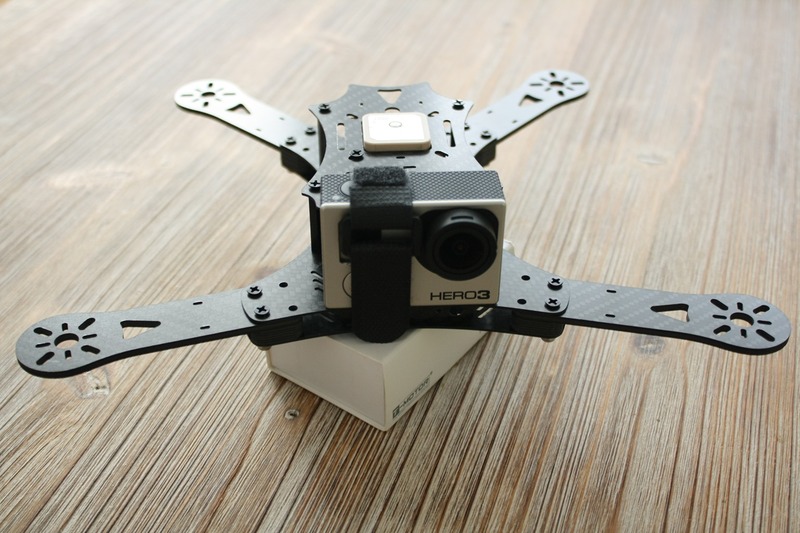 Designed to mount a GoPro or a Mobius camera on the front. 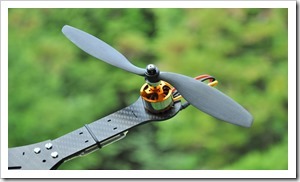 Use of 5” or 6” propellers. 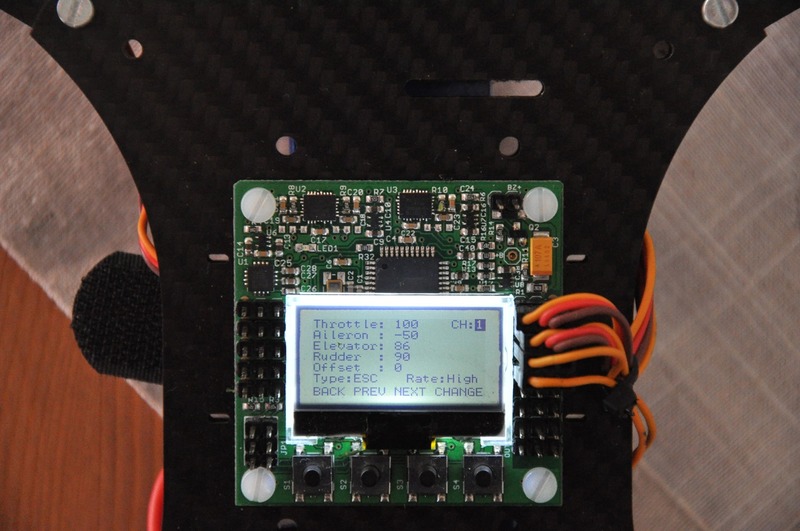 Mount of almost every flight controller: Naze32, KK 2.1.5., Crius (or clones such the HK AIO Board), OpenPilot, AutoQuad, MultiwiiPro, DJI Naza and also the bigger ones APM 2.5 and Pixhawk. 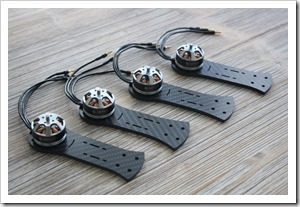 Motor mounting holes: M3 19mm x 16mm; M2 16mm x 12mm (T-Motor MN1804) and M2 12mm x 12mm for the small T-Motor MT1306. 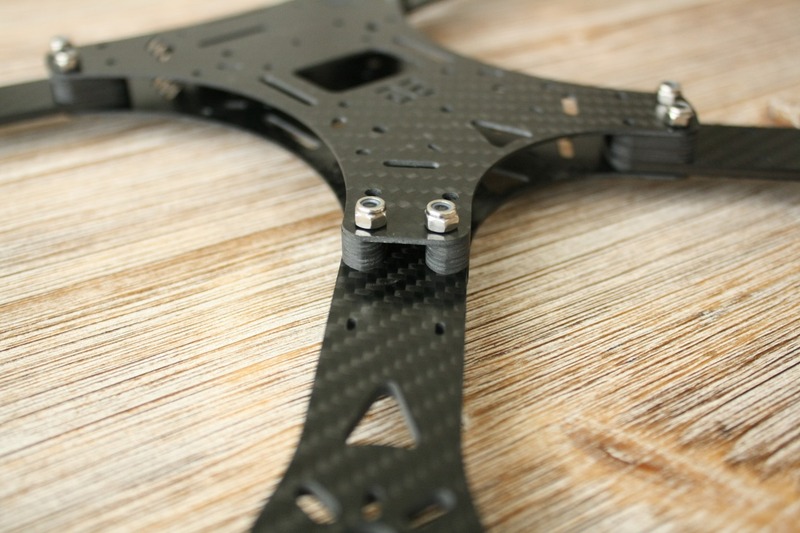 Distance between the two center plates is 6mm, so there is a place for small receivers such as the FrSky D4R-II (by using the additional carbon spacers). 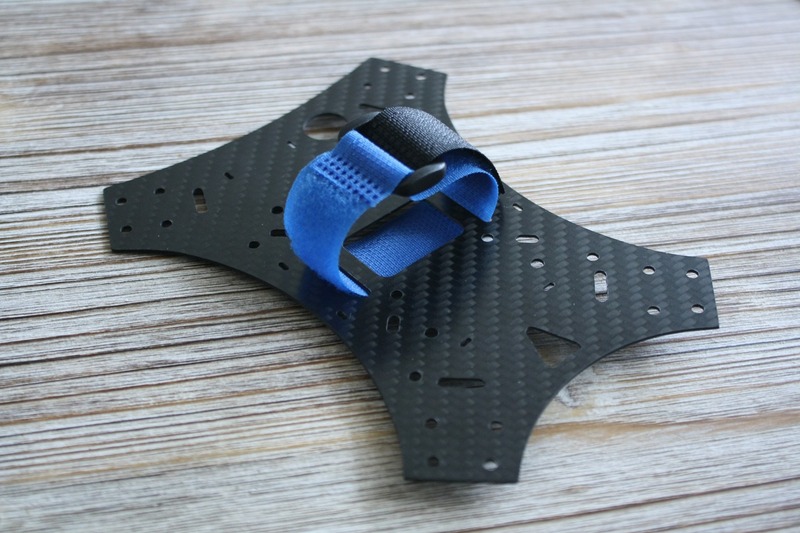 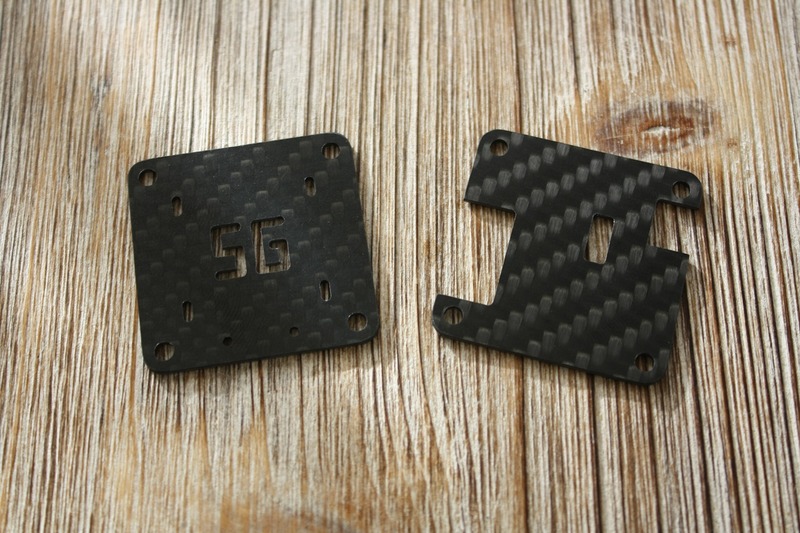 There is a cover plate for direct mounting of GPS, FPV gear and covering the flight controller (additional weight of 8g). 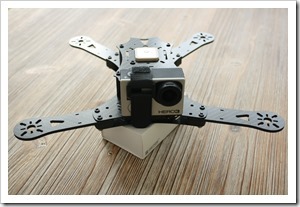 Mounting a Tarot 2D Gimbal (v4 frame). 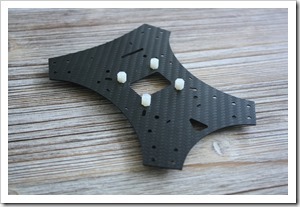 Cover plate for LEDs on the front (v4 frame). 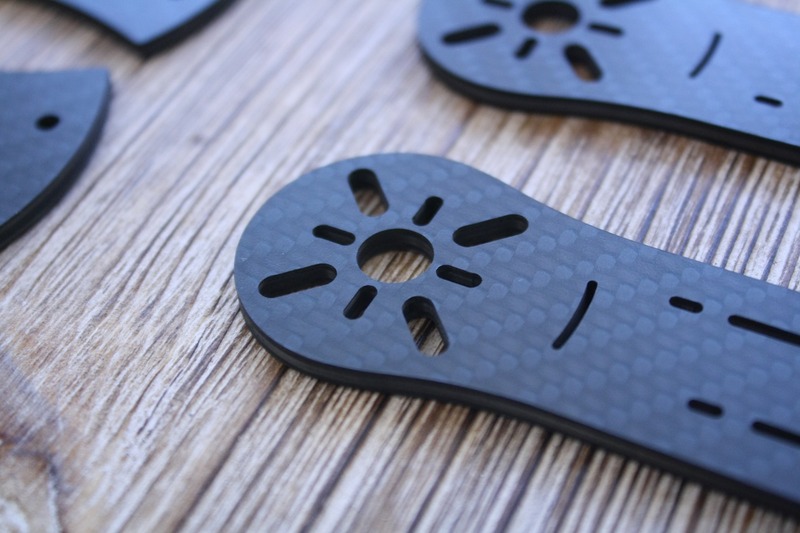 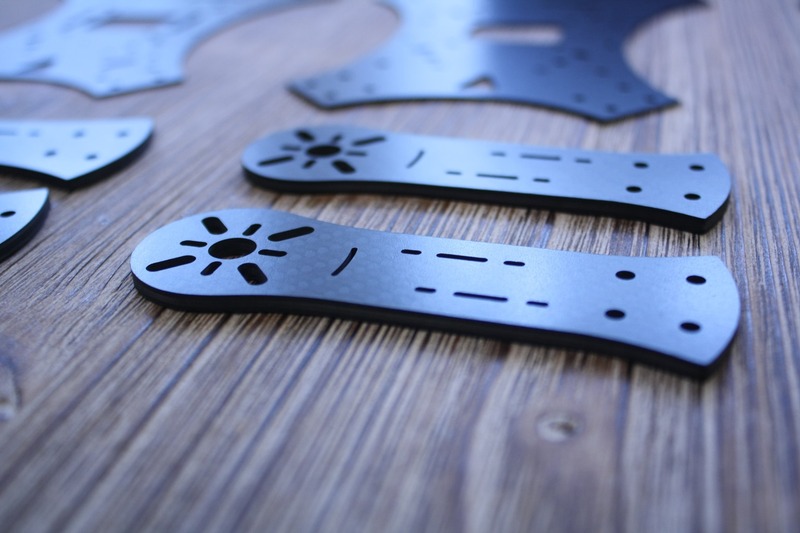 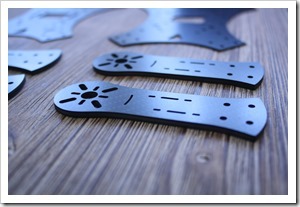 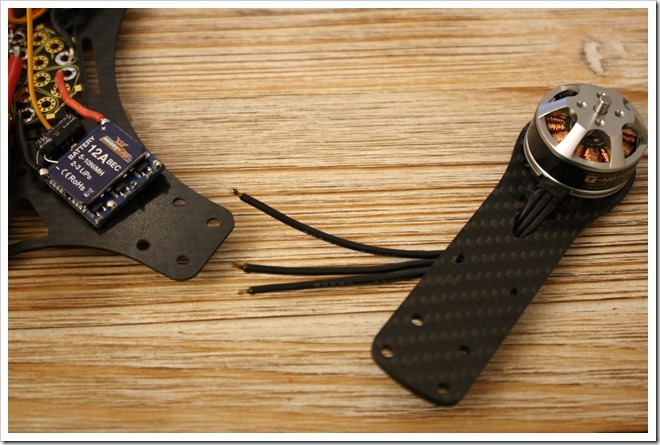 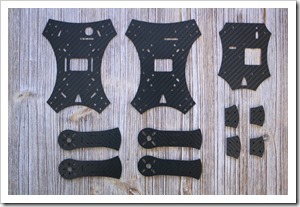 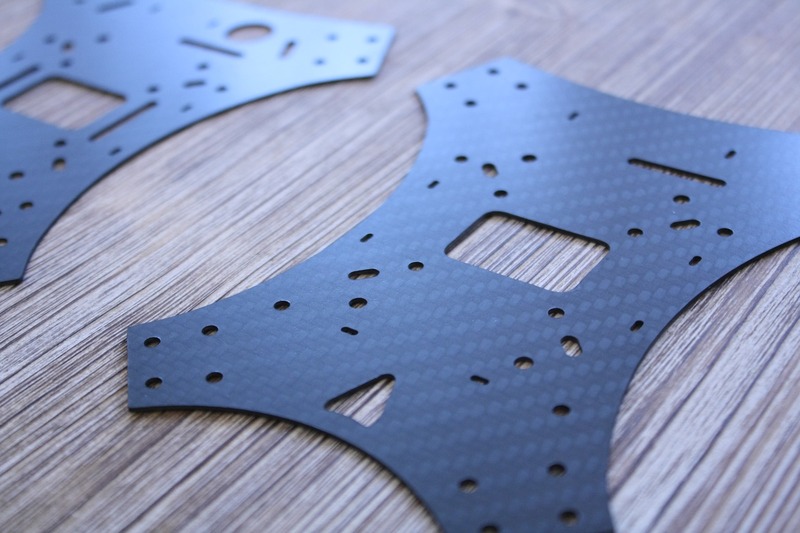 The arms and the small parts are made from 3mm carbon, the other plates from 1mm carbon. 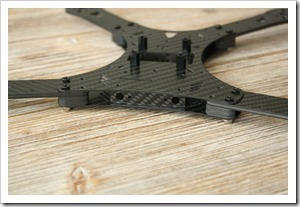 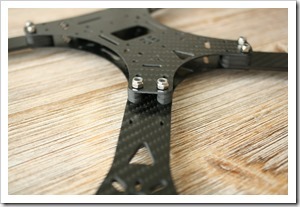 As said the center plates can be used with longer arms for mounting bigger motors and bigger props. 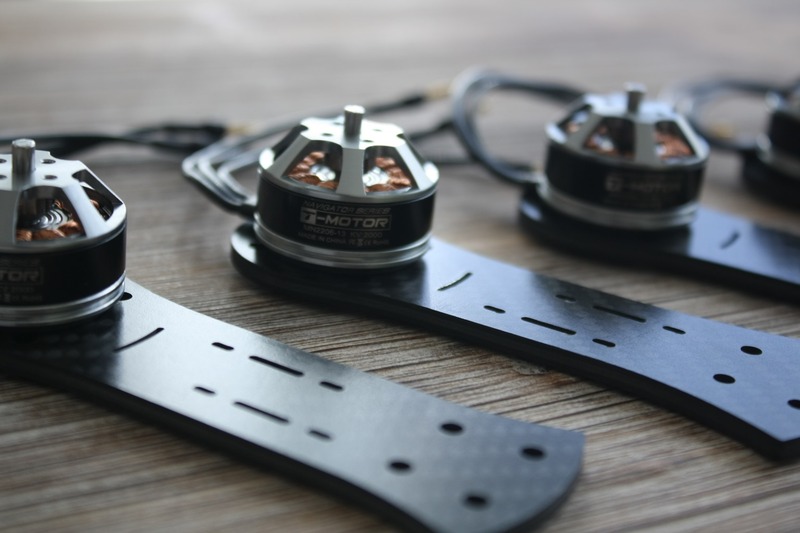 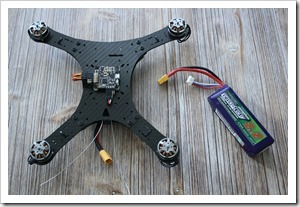 On the SG Adventure Mini I am using the MN2206 2000kv motors from T-Motor. 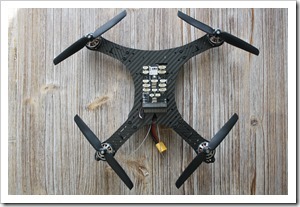 A budget version could be the Multistar 2206-2150kv Baby Beast motor from HobbyKing. 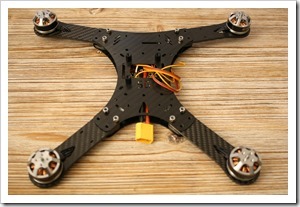 For the flight controller I used some spacers. 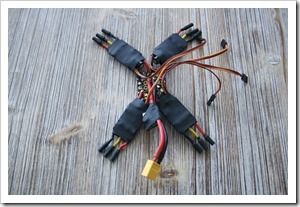 It is not necessary, but so I have some space for ESC or receiver cables. 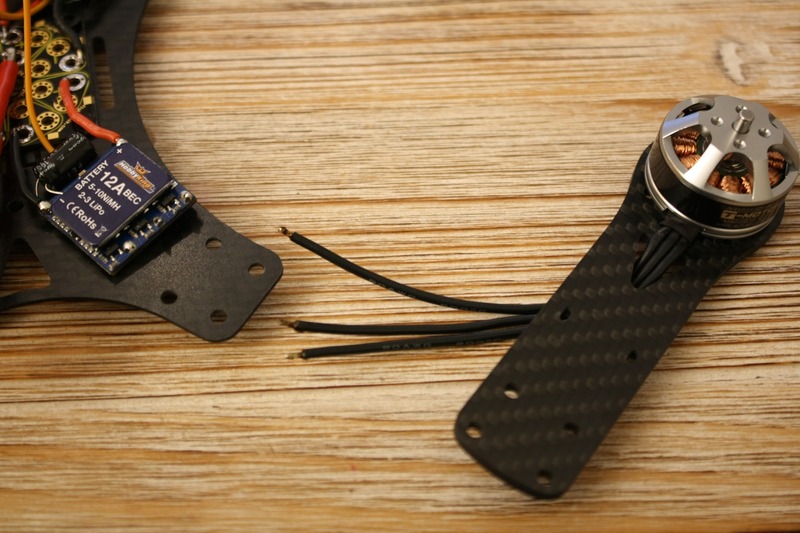 On the down side there are holes for battery strap. 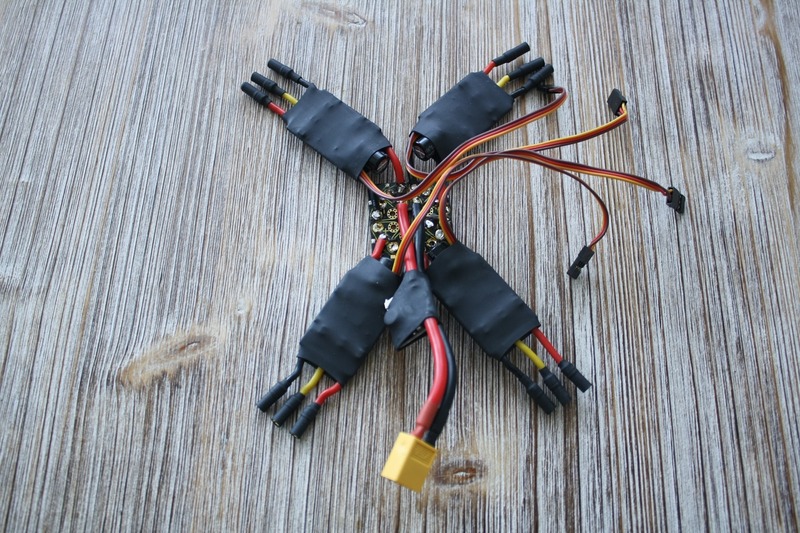 Between these could be mounted a standard 30.5 x 30.5mm power distribution board, such the one I used instead of the cable harness. 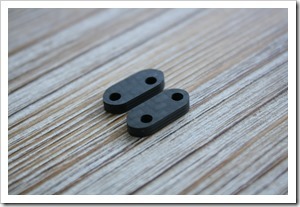 I also used 8 – M3 x 16mm screws for assembling the frame and 16 – M3 x 6mm for mounting the motors. 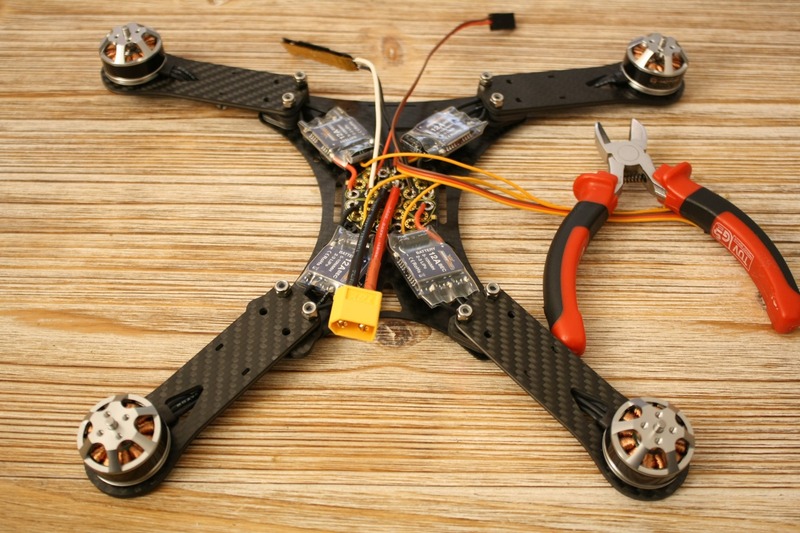 I had a big problem mounting the ESCs, because I only had Afro 30A. 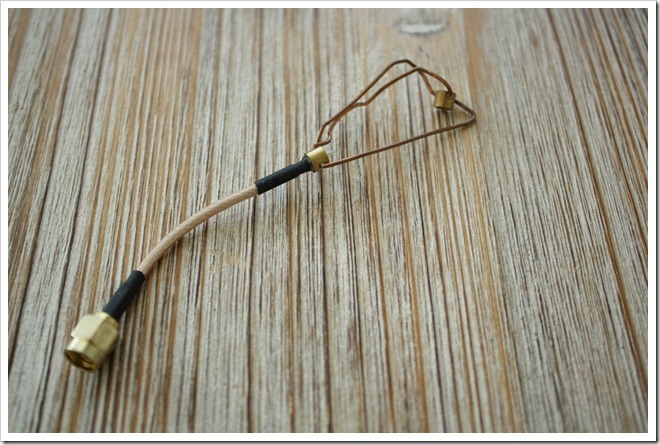 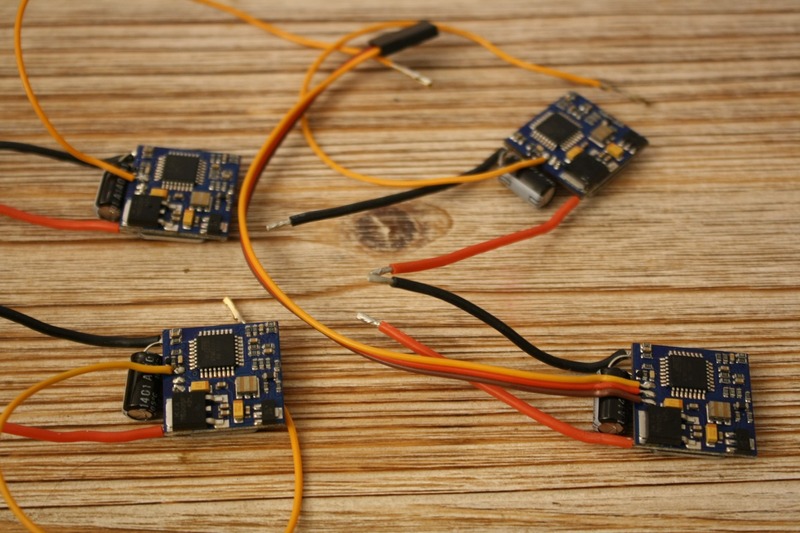 Ideal would be the Afro 12A, HK BlueSeries 12A, KISS 12A or KISS 18A ESCs. 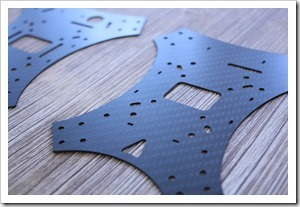 Although the Afro 30A are big, I succeed mounting them by cutting the wires. 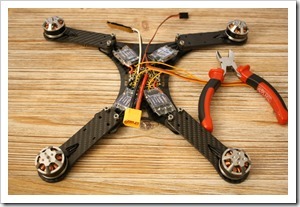 The Afro 30A are a bit heavy too, almost 100 grams with the power board and cable. 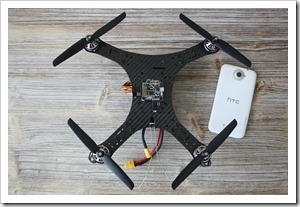 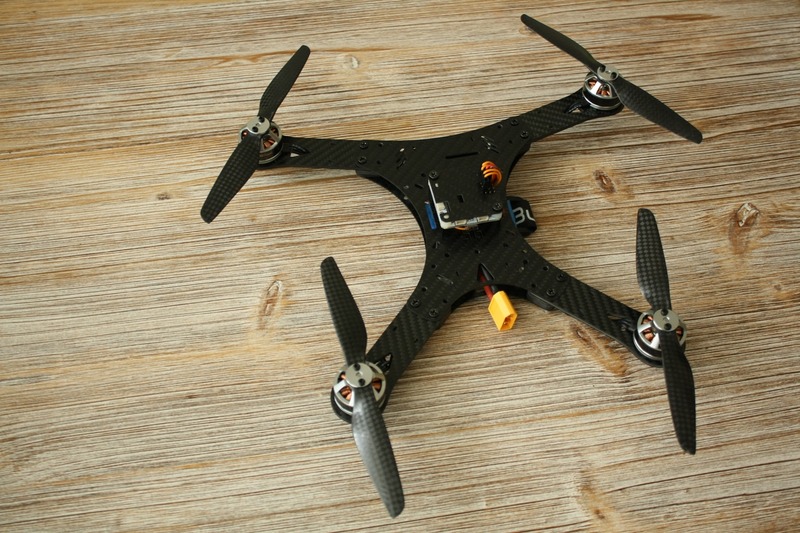 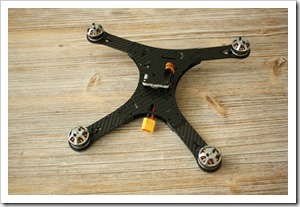 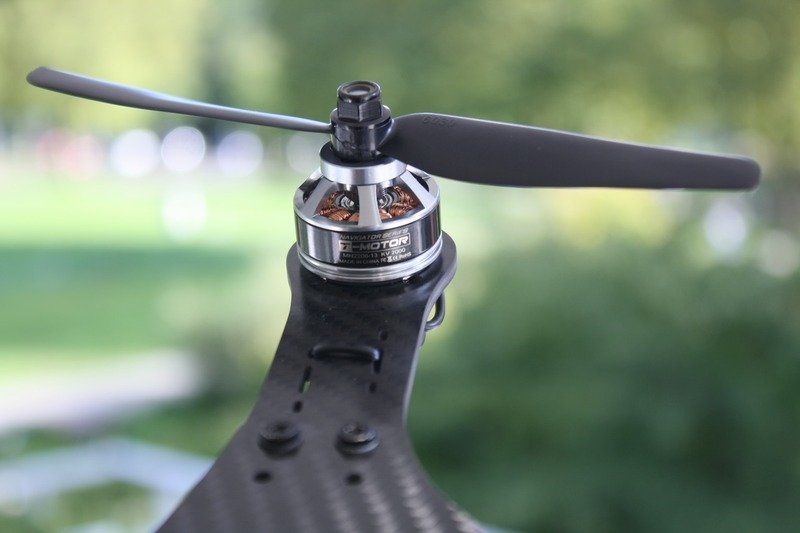 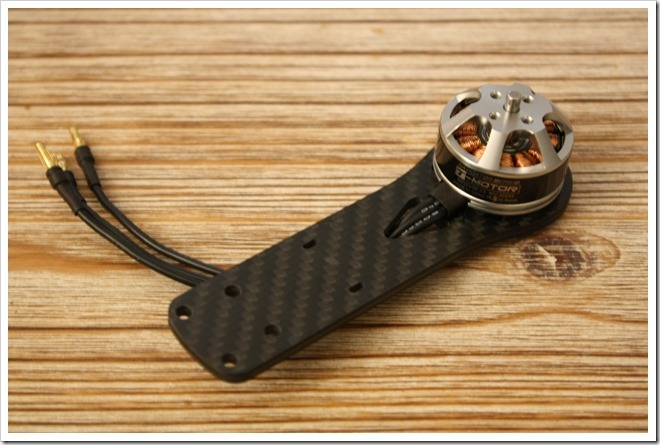 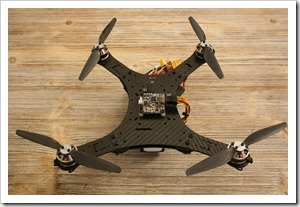 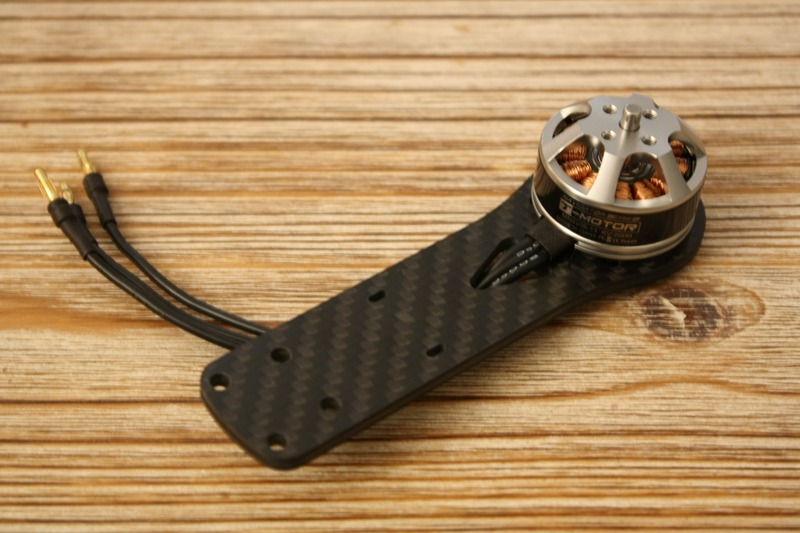 Fully assembled without the battery the Mini Quad weights only 367 grams. 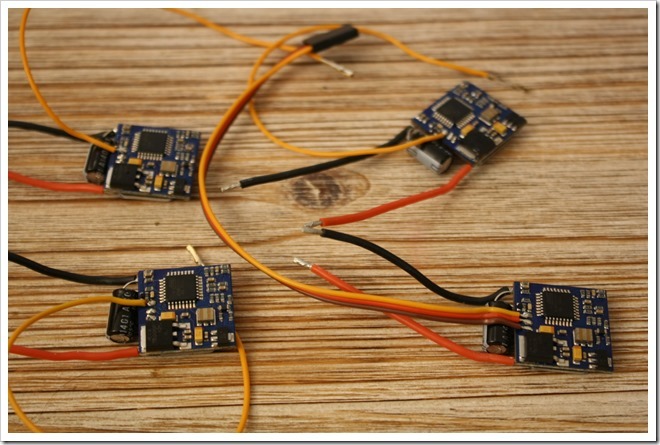 With smaller ESCs there could be definitely saved another 50 grams, which would be great for the mini and the flight time. 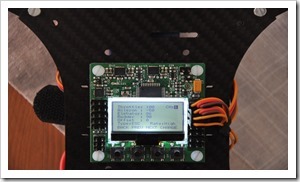 And there is so much free space, when using the small Naze32 instead of my HK Pilot32. 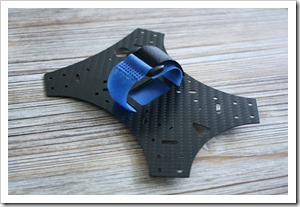 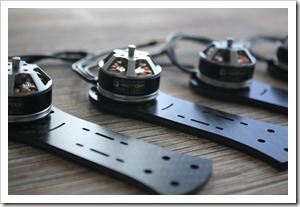 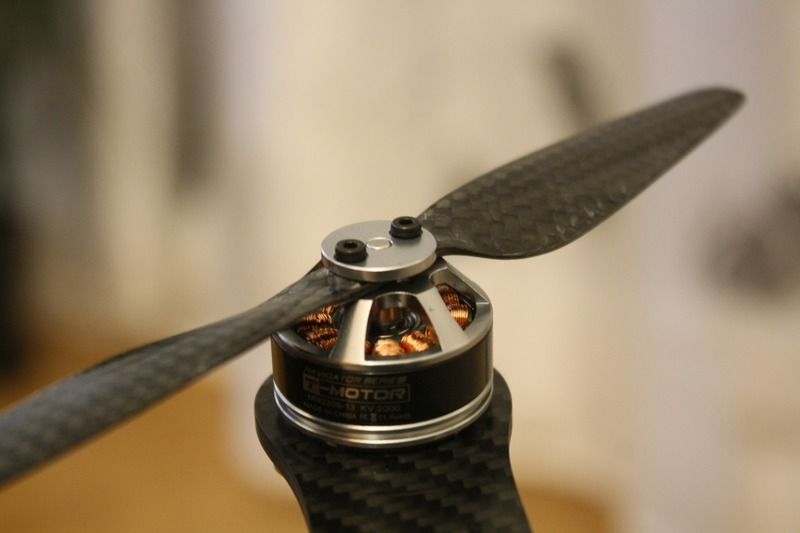 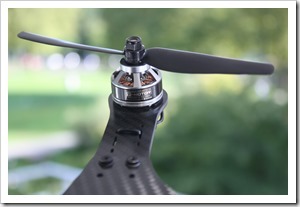 Update 29.09.2014: Here two more photos with the new carbon 6×2 propellers. 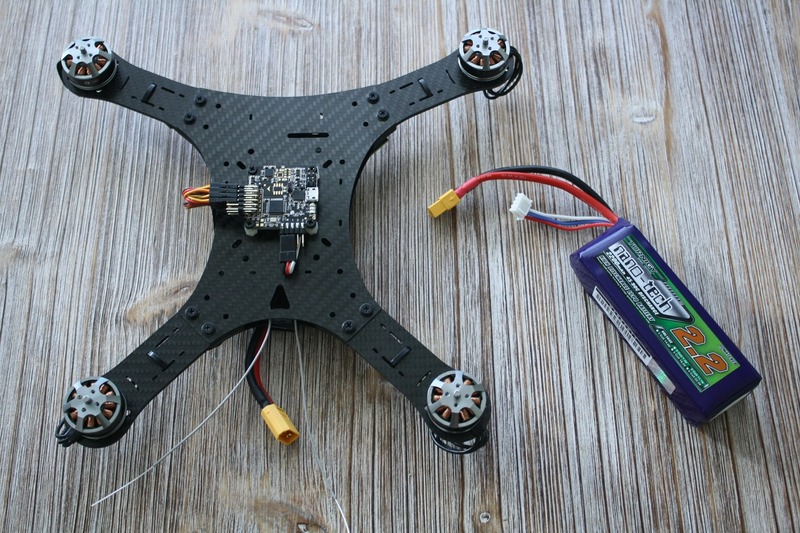 I made some flights today for the first time with the Naze32 and the Mini frame and got about 15 minutes with the 2200mAh 3S battery. 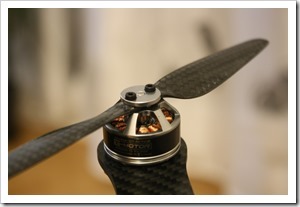 Still waiting for some small carbon props for better look and experience. 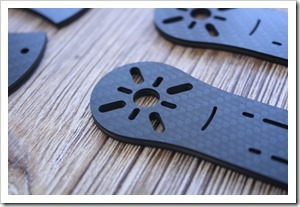 Production costs are a bit higher because of the quality material from SGL Carbon and the production in Germany. 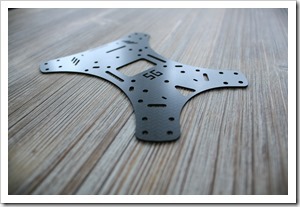 Design changes: the frame is much lighter, looks better and has better aerodynamics. 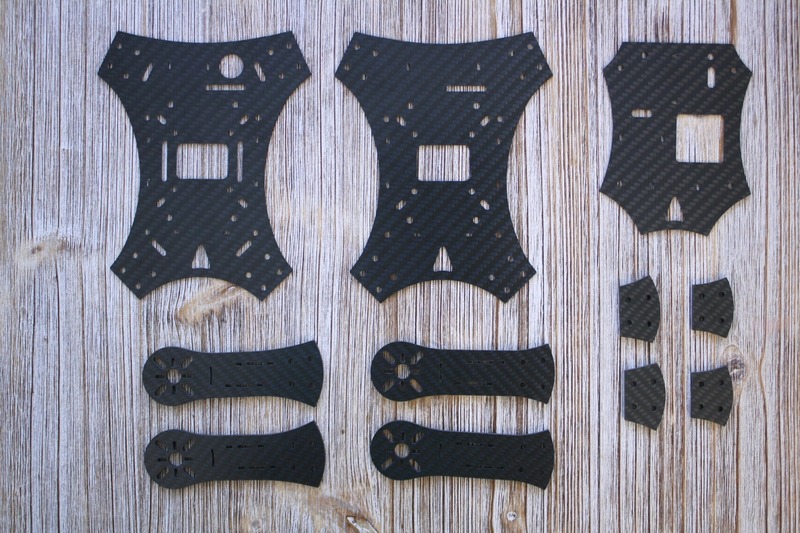 Front and rear arms are the same now. 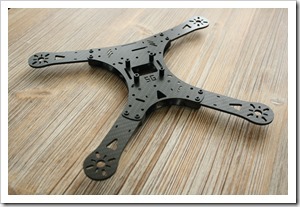 Possible to mount an Tarot 2D Gimbal on the down side. 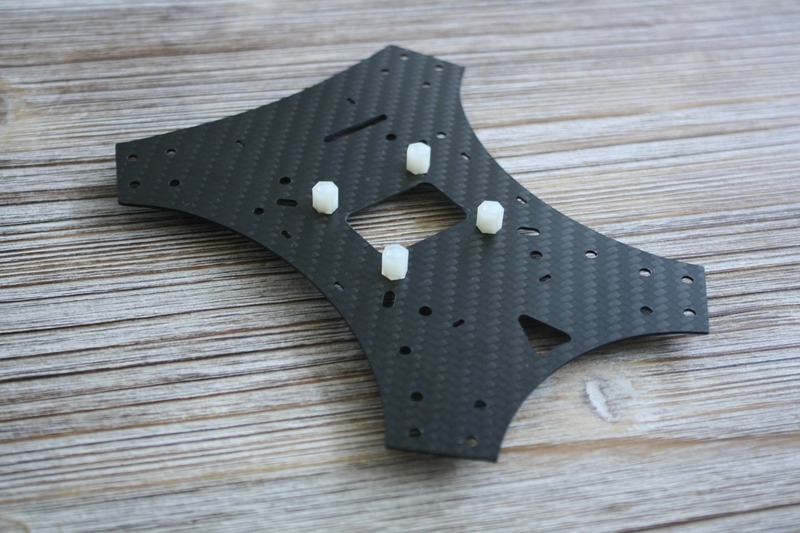 Tiny cover plate on the front, including holes for LEDs. 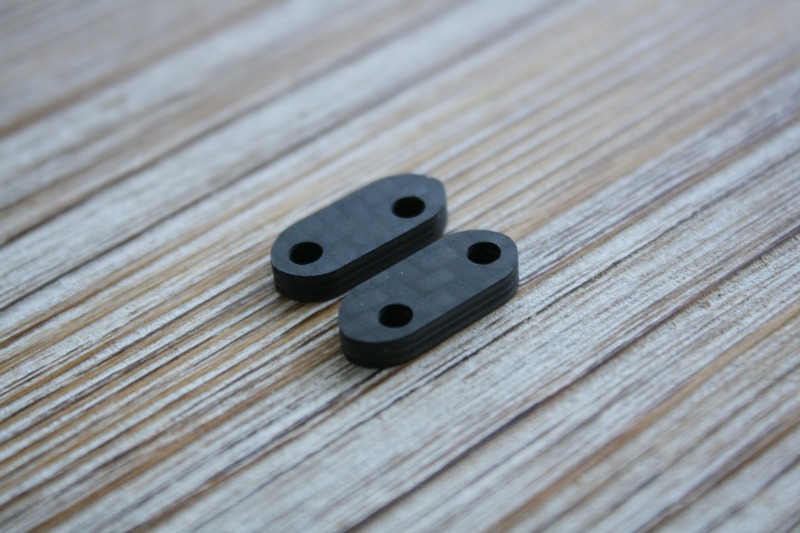 Redesigned the 3mm carbon spacers. 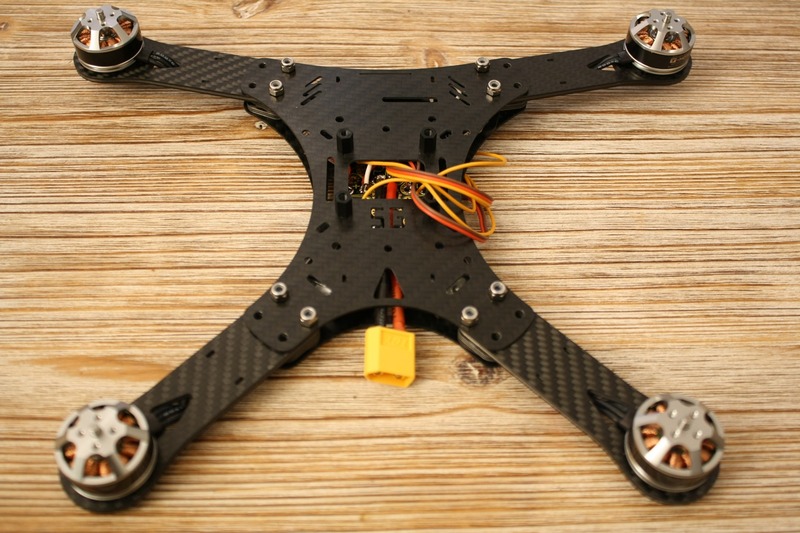 Motor cables can go directly to the inside of the frame. 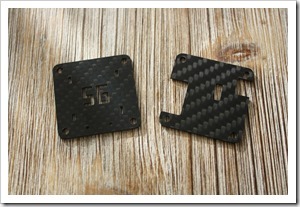 Redesigned the third cover plate. 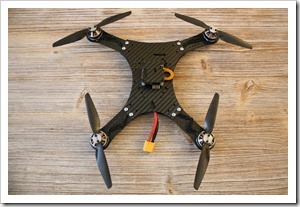 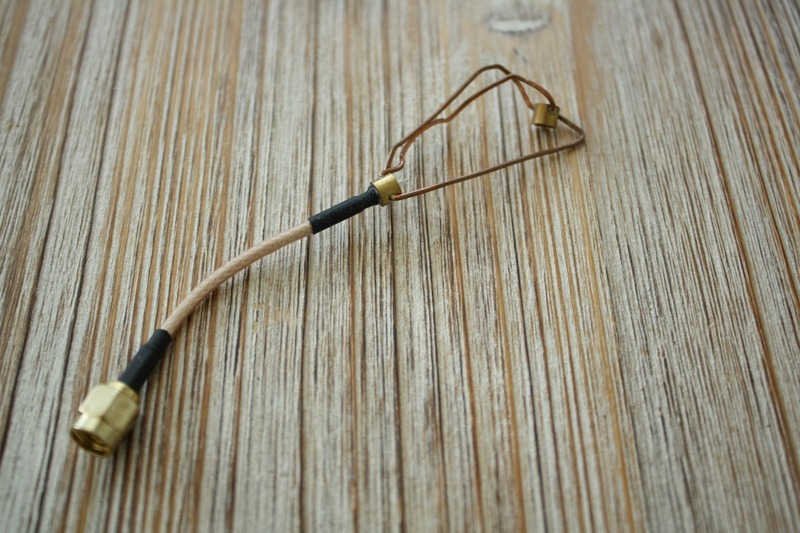 FPV antenna can now be mounted on it. 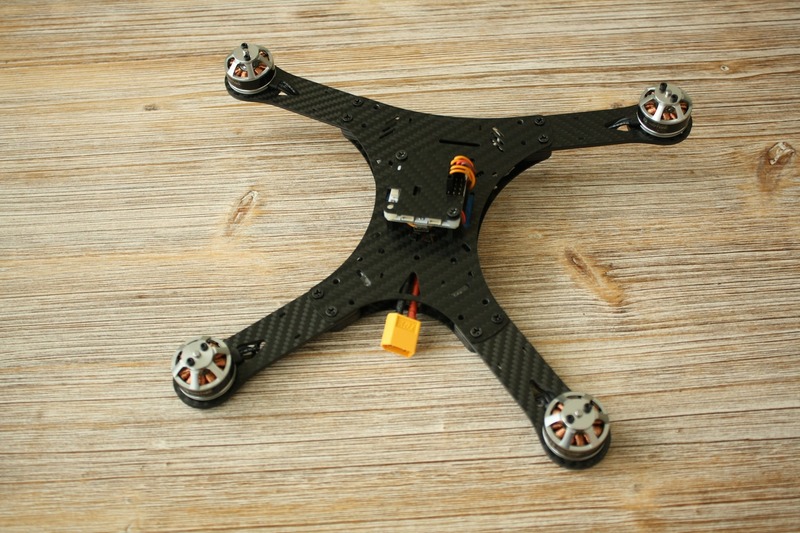 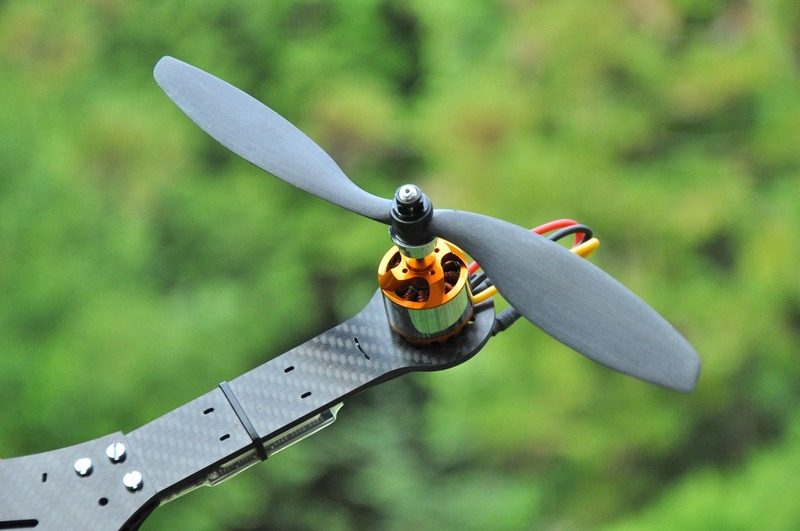 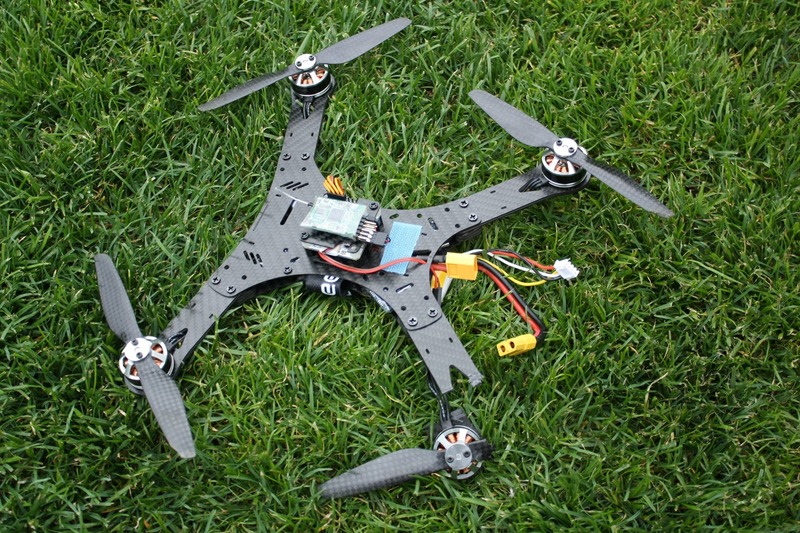 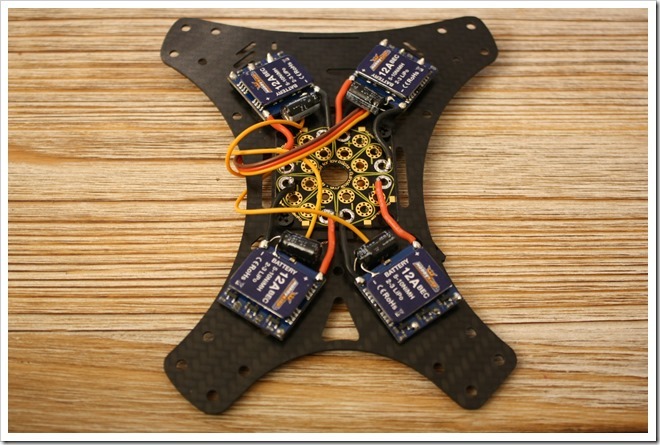 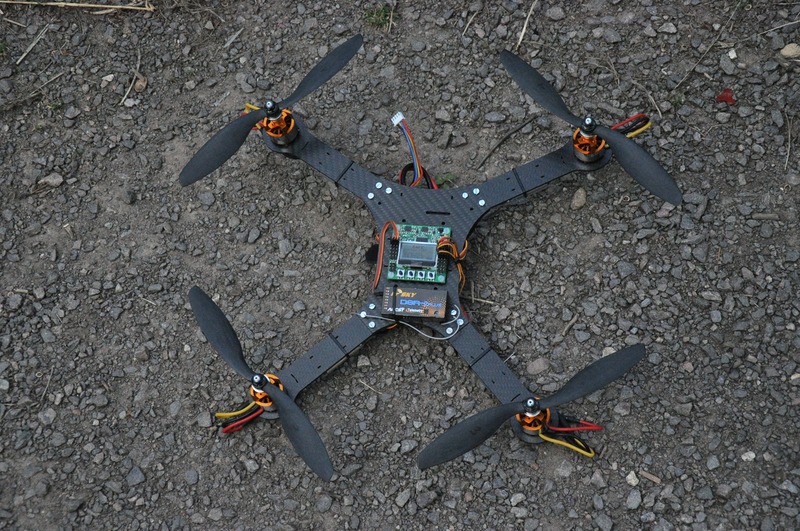 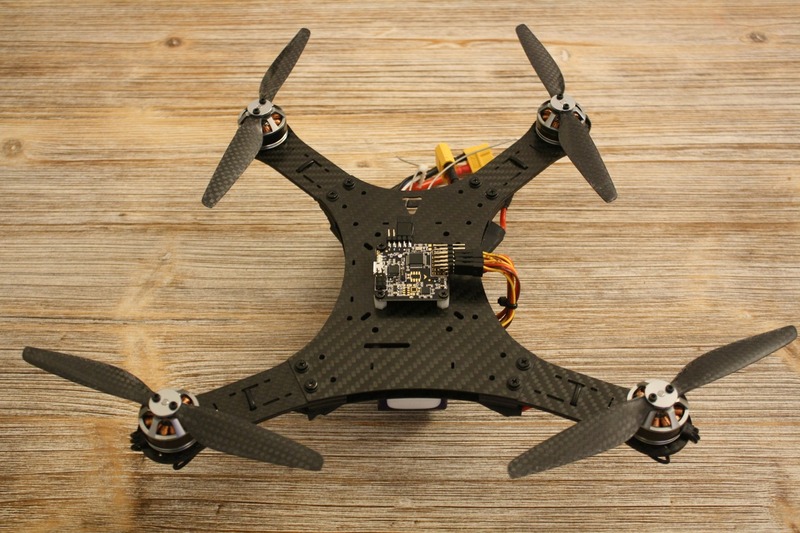 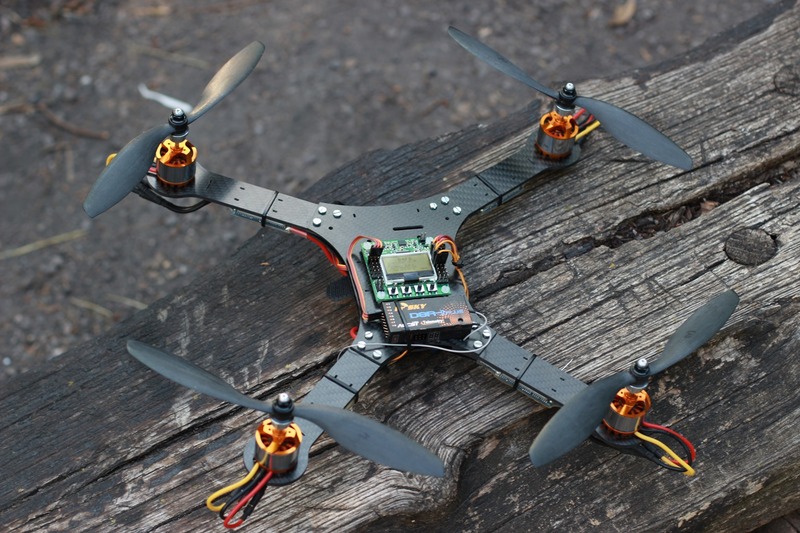 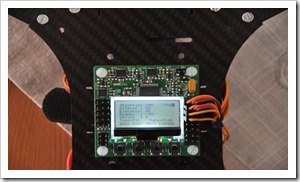 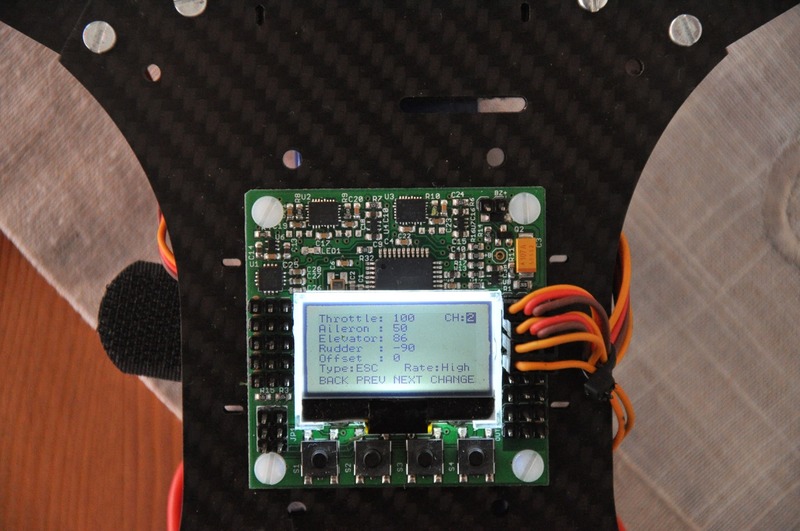 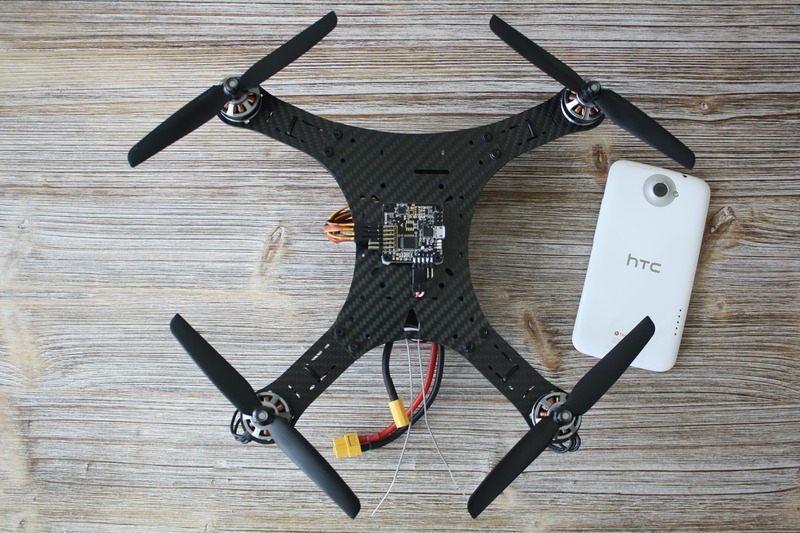 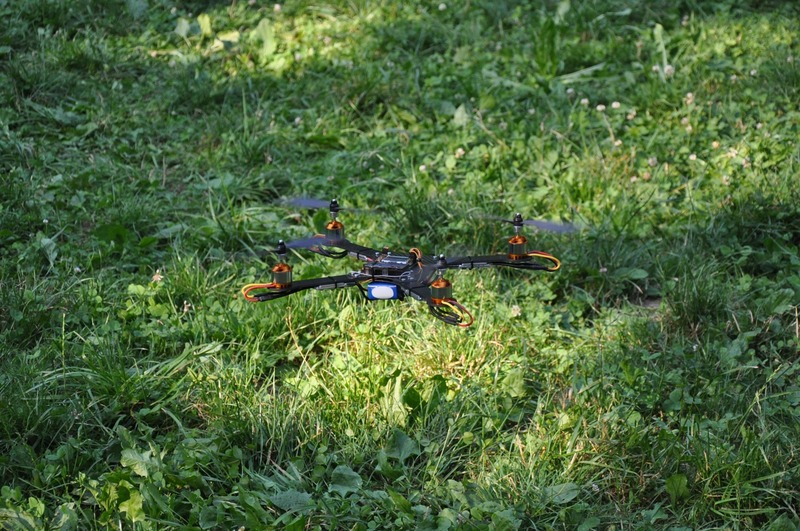 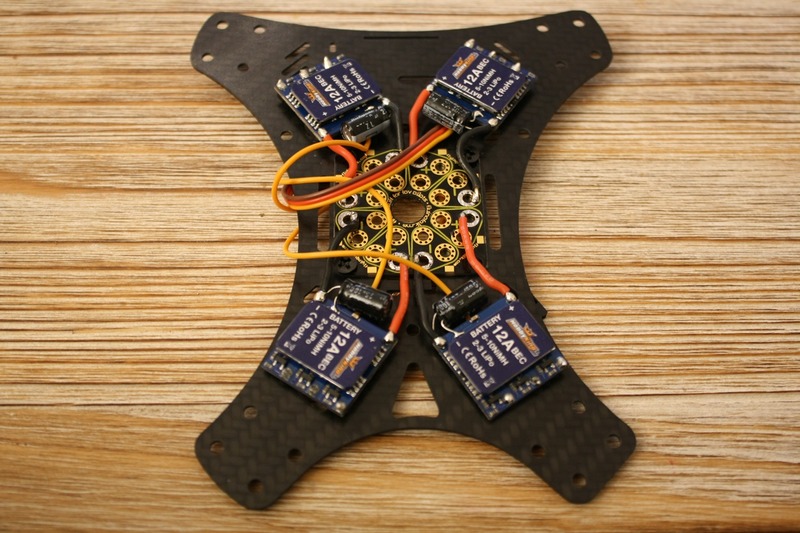 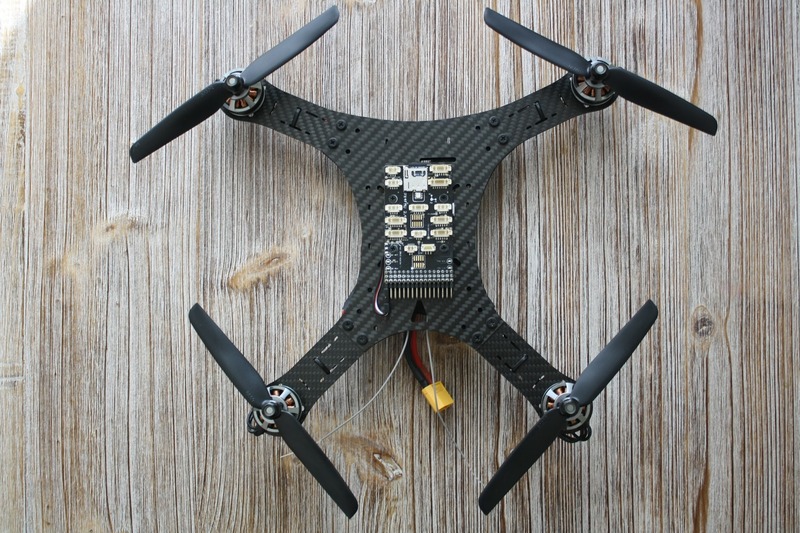 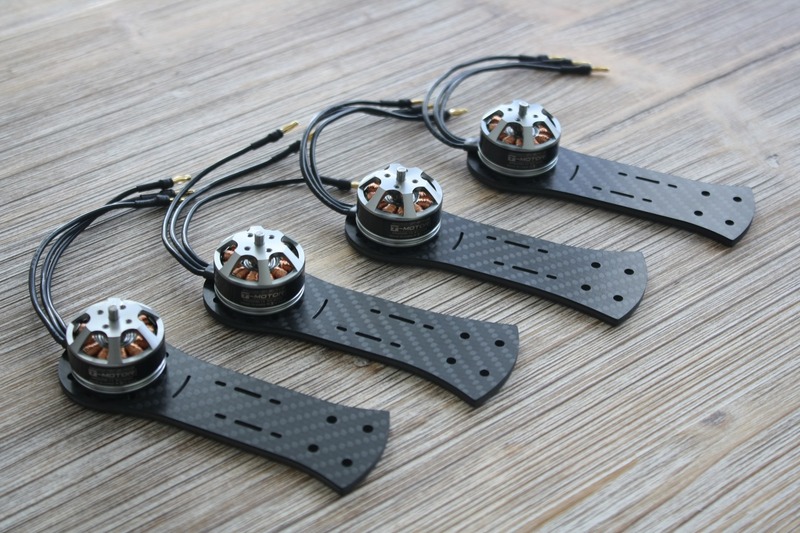 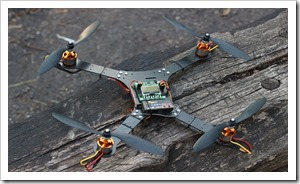 Update 03.06.2015: Added a build log for an FPV Racer with that frame here.